Scott is a Public Health Epidemiologist who has extensive experience working on disease surveillance and monitoring and evaluation systems throughout Africa and the Middle East. He has worked as a Regional Epidemiologist and Team Lead for Data Management with the US Centers for Disease Control, Global Disease Detection and Response Program in Cairo, Egypt. Additionally, Scott has worked as the Monitoring and Evaluation Manager for Medical Care Development International where he helped implement multiple USAID malarial control programs in Sub-Saharan Africa. 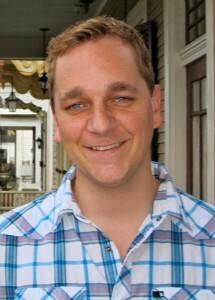 Scott received a Masters in Public Health Epidemiology from Tulane University in addition to a Bachelor of Arts in Biology from the University of Iowa. In 2012, Scott joined InSTEDD as a Project Manager for the Bill and Melinda Gates mHealth Surveillance project. Scott and his wife Rebekah currently reside in Brooklyn, NY.